The Teeling Whiskey Company's distillery has been up and running since the summer of 2015. 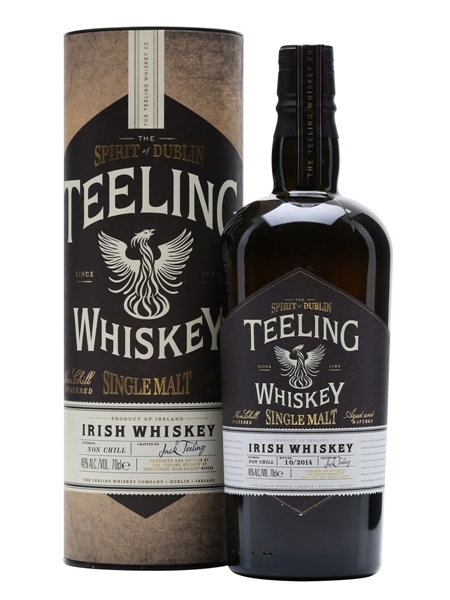 While we await mature distillate from Newmarket in Dublin, the Teeling brothers, Jack and Stephen, continue to get the Teeling Whiskey brand out there with whiskey from Cooley Distillery. This Single Malt (~€52) is the third release in their premium range. It doesn't carry an age statement, although we are led to believe it contains some very mature whiskey. The finishing is very interesting. The final product is a vatting of 5 different wine cask finishes - Sherry, Port, Madeira, White Burgundy and Cabernet Sauvignon. It's non-chill filtered and bottled at 46% ABV.